Bethesda have revealed the first batch of DLC for Dishonored, the Dunwall City Trials, will be released on 4 December for a mere £4. They’ve not shown any footage of the game in action though new screens were released with the date announcement. PCGamer spotted that Arkane Studios had posted a release date and new images over on the Dishonored Facebook page. This means that the details of the new DLC, Dunwall City Trials,published last monthon the Bethesda blogare all the more tantalising. 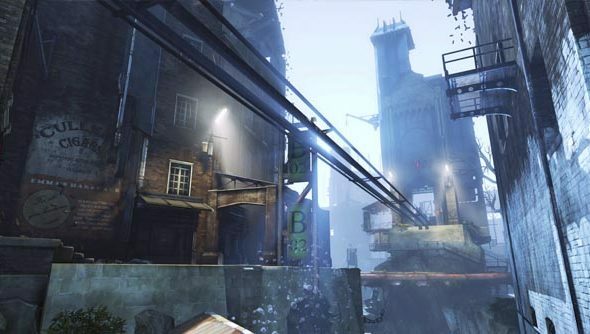 So, just one week to go till we can dust off the old copy of Dishonored and stalk Dunwall’s streets again.